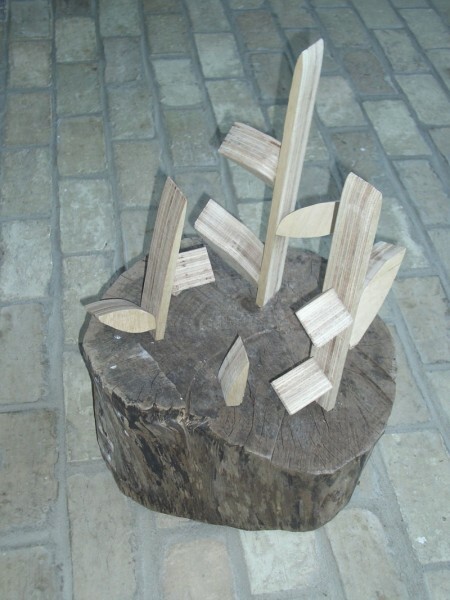 New shoots, made from glued and shaped plywood, appear to be growing out of an old tree stump. The sculpture represents the circle of processes that start with a tree. The timber from the tree is then made into usable plywood that the artist has then made back into tree shoots.